ANN ARBOR, Mich. (AP) — Michigan’s offensive line has been much maligned in recent years, getting the brunt of criticism for an offense without a consistent running or passing game. The 15th-ranked Wolverines are far from perfect on offense, but their line has been opening holes for Karan Higdon and giving quarterback Shea Patterson time to pass. The defense is giving up an NCAA-low 232.6 yards per game and yet the unit still seems like it has areas of concern. Michigan (4-1, 2-0 Big Ten) hopes playing Maryland (3-1, 1-0) proves to be a confidence-boosting tuneup before playing Wisconsin, at Michigan State and Penn State. 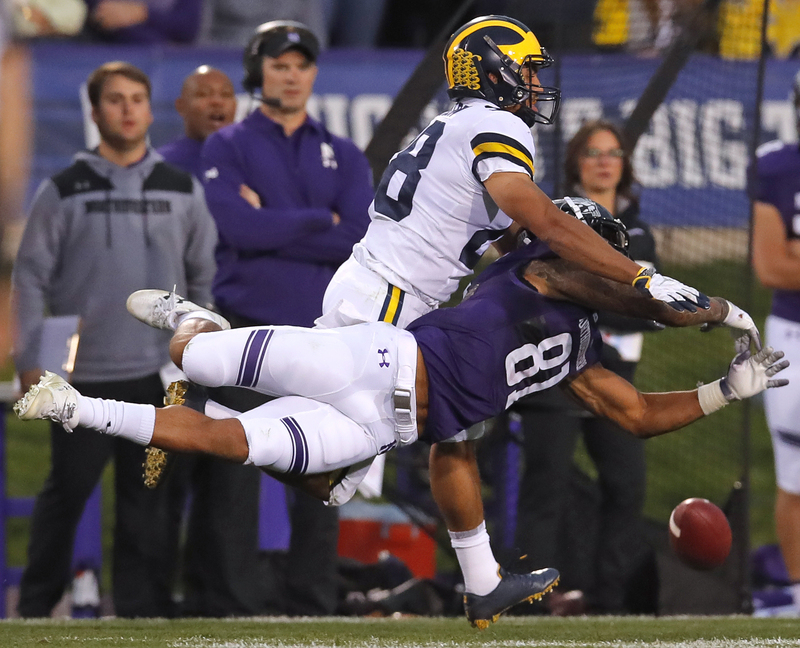 Michigan rallied from a 17-point deficit last week to beat Northwestern 20-17, giving Harbaugh his biggest comeback victory as a college coach. “Lot of successful seasons, there’s always a win like that,” coach Jim Harbaugh said. The Maryland defense has excelled on third down, holding opponents to a 29 percent conversion rate compared to a Big Ten-worst 49 percent last year. In addition, the Terrapins have only three turnovers and are 10th in the country with a plus-1.25 turnover differential. Michigan and Maryland rank among the worst in the nation at getting called for penalties. The Wolverines are 120th and the Terrapins are 123rd out of 129 teams, getting flagged nine-plus times a game. Maryland has lost or given up 362 yards in penalties, including 10 for 118 against Minnesota. Canada can accept the infractions that come after the snap, but has a problem with the offsides and illegal motion calls. The other ones? Well, things happen. Michigan defensive end Chase Winovich has played up to high expectations since turning down a chance to enter the NFL draft. He has 10 1/2 tackles for losses, ranking first in the Big Ten and third in the country. “He’s gaining a lot of attention,” Harbaugh said. “Sometimes, it’s a blocker and somebody that’s chipping, or there’s two. I remember one time, he got three guys. That’s ultimate respect for the defensive end or pass-rusher. “People coming back, whether it’s a reunion or a get-together of family, it’s one of the top words in the English language,” he said.